I DO have permission from Khuanchai! Just read above.. The only reason I use RP is because I really need to maintain my premium account there. For me in Thailand, RP is quite good with premium account. Although downloading from RP can partly help me maintain the account, I have no absolute limitation rule on mirrors. However, I won't update mirrors in the first post. Hope everyone understands this. - Overall smooth as previous build, no issue so far beside the Outlook 2010. - Titanium Weather issue already pre-fixed in this build. 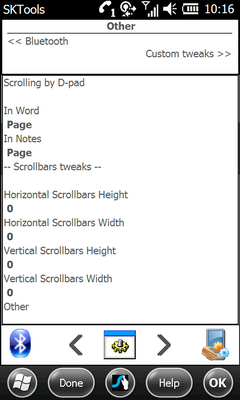 - Clicking the top bar left side to bring up the default WM 6.5.5 top scrollbar 1st. - Now clicking any icon on top as usual you done in WM 6.5 or WM 6.1. - The Samsung Large Indicator will appear immediate. it's been 3 hours since i first tried to download the new rom from rapidshare. It proves impossible to download. I don't know what i will do, but i won't be a premium user for sure. Maybe KC could consider another option when his premium account expires? 4shared or mediafire? forelli, annoyed by rapidshare business policy: there is at the moment no free slot for non members etc. etc. I will do that after i post this. I understand you are out to help forelli... I have offer to help him too, he just need to check his PM for my solution. How I said, I just wanted to help. Ok, if you sent him PM. Let's close this topic. I have a real problem... I flashed with latest 6.5.5 ROM, everything is OK, but when I change the language to czech, the old normal JA1 ROM is back! Cooked ROMs are single language (English in this case), you can't change the language to any other language or the "base" ROM will be back. You can't change the language, as it will revert back to original due to reset will be done and it will copy back to original one from the original source which hidden in one of your 8GB partition. 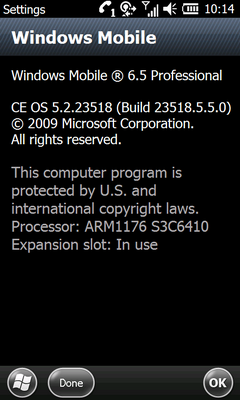 As I know, any cooked ROM at the moment is not allow for language changing. I seen somewhere that Khuanchai's ROMs can only accept 2 languages (English and Thai), it may not be able to support other languages. If change to other language, it will re-initialize with JA1 base rom. Andrew, can you try to install this CAB and test if it works? Soft reset needed. bro is this version is different with 2nd post? Yes, registry added. Now links in post #2 are updated. Video Editor added. Hi, Khuanchai, already tested with soft reset, the favorites remain same, not working. Hi, Khuanchai, may I know where is the store registry location. Maybe I can manually add my favorites contact via registry? Can I ask the battery-life for the new ROM you are using? Wish to know first before flashing to the 23518 ROM. 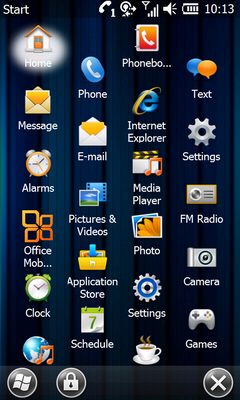 I am using the i8000KC28205Neo_lite ROM and the battery-life is hardly 1 day. During standby, the battery-life drops by 1% every half an hour. I never count the battery life. I always plugin to PC do this and that..so can't ready tell. 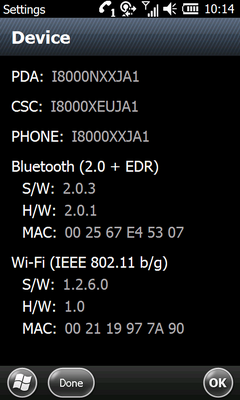 Sorry... but JA1 is definately better, the call signal, the GPS signal and WiFi signal all better than previous IL5. Thanks for the reply. I think from your quote, I would flash the new ROM to have a more detail feel. hi, like to check if i will still be able to view and type chinese sms/mms with this rom? or 3rd paty s/w will be needed to type. 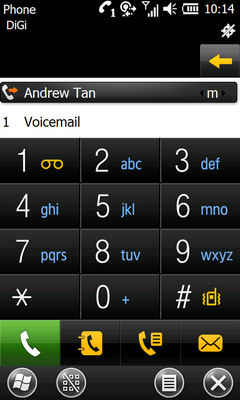 You need to install 3rd party apps, example PlumSIP or TouchPal with Chinese input plugin. To all people like me who had problem downloading from rapidshare, please google "rapidshare downloader", you'll have a lot of software like RDesc to help you, and KC doesn't need to add another server :) .